While in the IRC waiting for The Artifact Location to update, I told RoflSalad and I think gunluva that I was going to get this tattoo... Here it is. The guy messed up pretty bad but oh well. Mods may lock this, just thought I'd share it with the community. Last edited by AfRo SaUcE on Tue Sep 04, 2007 1:43 am, edited 1 time in total. Thats TRUE devotion to a game. My good friend, you have my congratulations and you have an honorable soul. May you rise to the pantheon of great gamers around the world. 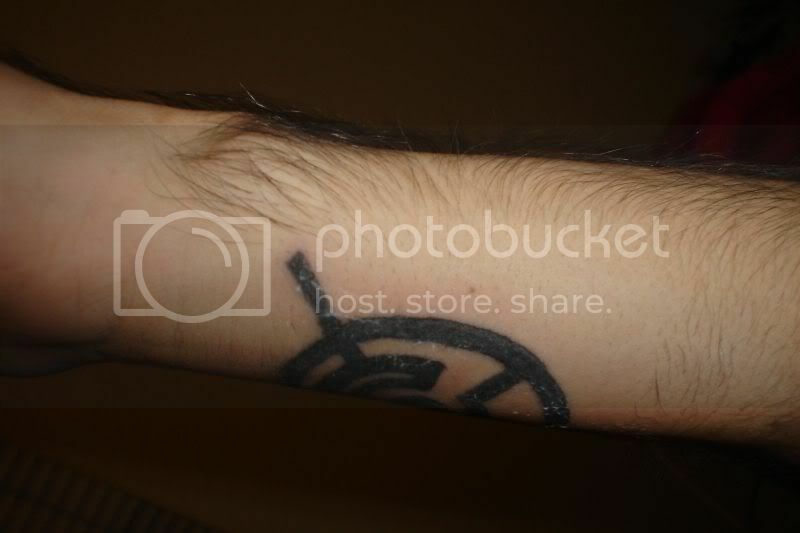 Trust me, its real, you can see the swelling towards the bottem left of the glyph and a spot where he poked me before he actually started doing it above the bottem ring. Next to the part where its not supposed to connect you can see swelling (looks red) all of that junk on there that looks crusty is shea butter or whatever.. 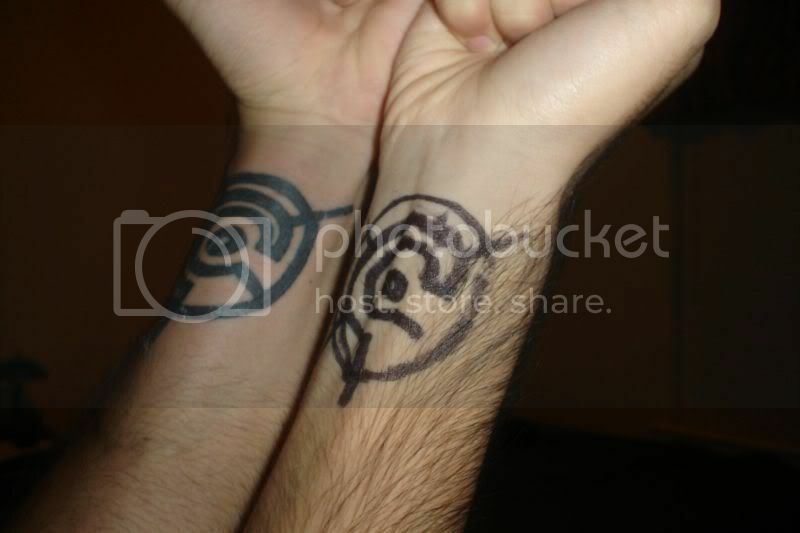 Comparison: Tattoo- Left, Sharpie- Right. Notice im gripping as hard as I can to make my tendons show and the left is so swollen that it wont even show though my right is quiet easy to see. Okay, the angle is better in those pictures. I couldn't really see the redness or swelling in the first one. It's a shame the tattoo artist screwed it up so bad. 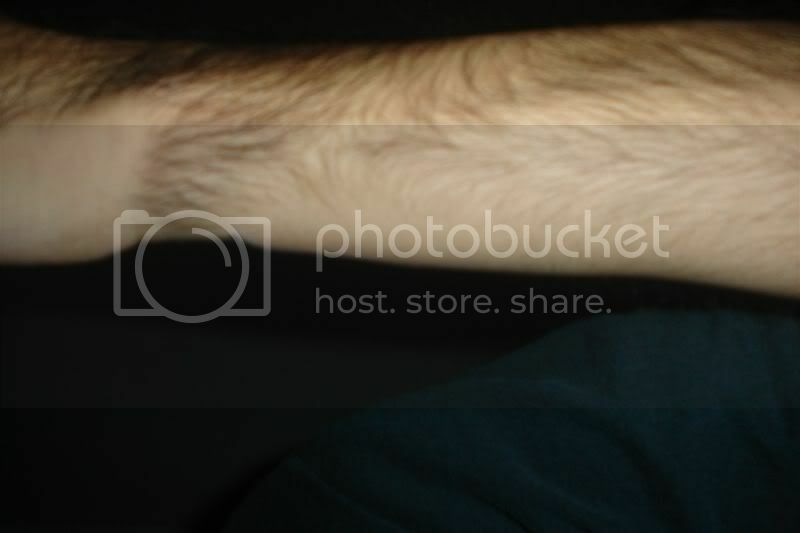 I'm considering getting the glyph in thin black-line on my right shoulder. I think that you got it way too big. If it was smaller, it would have looked closer to the symbol, and it wouldn't be so all-encompassing. It was a good idea though, I salute you. Damn, man. That is devotion. On an off note, I don't remember you telling me this, even if you did. But all in all, it does look halfway-decent. It could've been worse, right?